The Studio Calico The Underground kit has got to be one of my favorites (and not because I designed a printable this month). The colors and designs are so varied and so much fun! 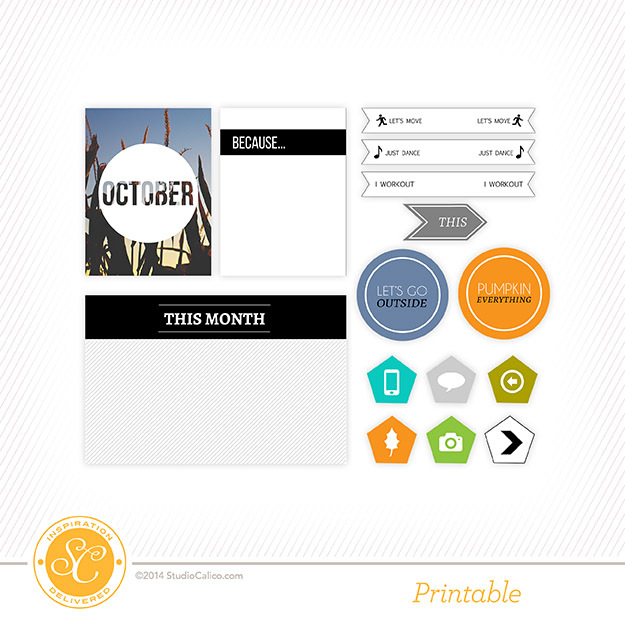 Here are the printables I designed this month. It’s been so much fun to see the projects created using them! If you use them tag me or link me up so I can comment! I love the simplicity of those printables and most of all the Pumpkin Everything, b/c it’s true. I think we’ve tried almost all 60 pumpkin products at TJ’s. Haha! Luckily we can’t try them all because of our gluten allergy but their new gf pumpkin pancakes this year are amazing!